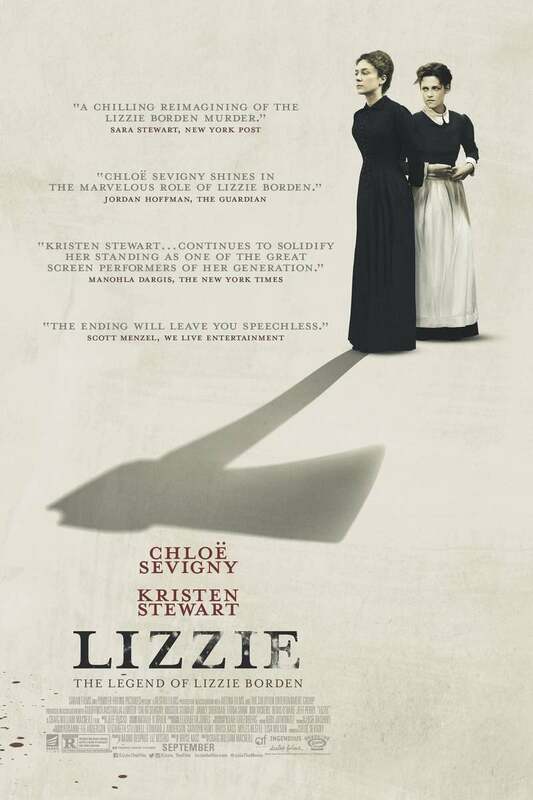 Lizzie DVD and Blu-ray release date was set for December 11, 2018 and available on Digital HD from Amazon Video and iTunes on December 4, 2018. In August, 1892 Lizzie Borden is famously charged with the murder of her stepmother and father. It causes a huge media sensation, perhaps the first example of a tabloid court case. But what really happened on that night? Did Lizzie really do it? What happened in her quietly idyllic Massachusetts life that unfurled this chain of events? Did her father's strict hand send her down this treacherous path? Perhaps it is Bridget's influence, the maid that moves into the household, who starts a friendship with Lizzie that ultimately leads to a forbidden romance.